April 2013. 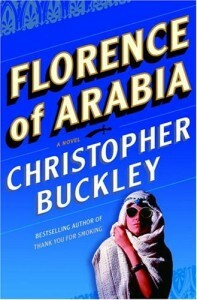 It’s four years since Shaikh-Down, my 2009 ‘re-vamp’ of Florence of Arabia, was published via the on-line self-publishing site YouWriteOn.com. The cover was designed by Earl Hyde, one of my ex-BT pals, mostly known for his inspired pottery and his garden which has become a Muswell Hill ‘landmark’. (Skulduggery should only have one ‘l’ – my error!). YouWriteOn, partly sponsored by the UK Arts Council, is one of the many ‘Peer Review’ sites for new authors that have sprung up in recent years: ABCtales, Authonomy and Wattpad are other well-known sites. Members read/review/mentor and even Friend each other (in the Facebook sense): you read and review me, I read and review you – a kind of authorial ‘back-scratching’ club! The Authonomy site was set up by HarperCollins, whose editors critique writing that has risen to the top of the peer review ‘heap’. It’s a process that’s been compared to the publishers’ “slush piles” – but with the writers doing the initial rummage through the slush. Only a handful of books have been conventionally published as a result of this literary ‘X-Factor‘, including a few who launched themselves on the YouWriteOn site. I’m writing as if YouWriteOn is still going. It is and it isn’t. The site (and the read-and-review process) is still there, but the publishing side seems to have moved to FeedARead.com, who now send me my sales figures. There was no notification to this, it just happened. The read-and-review sites tend to favour genre fiction. Shaikh-Down is a Gay(Bi?) Political Comedy-Thriller – a ‘sub-genre’ in which I am probably the only contributor! The reviews my extracts attracted were mostly positive and occasionally helpful, but I rarely read or got reviewed by a writer who I felt was on my own ‘wavelength’. I got very fed up of reviewing clumsy fantasies pitched at teenage readers by wannabe Rowlings and Meyerses. Only once did I read a posting that deserved to start a bidding war among publishers. Editing is something we all need (many commercially published books suffer from under-editing): some of us need it more than others. Good writing comes with experience – and attention to good advice. These peer-review sites are about developing each other’s skills – plotting, editing, characterisation, etc – but time spent reading the work of novices is time most of us would surely prefer to spend reading (not to mention writing) Quality Writing. I made some revisions, adding added a very naughty Mile-High-Club scene to the beginning of Chapter One and taking a grimmer peek into my ‘crystal ball’ at the end of the book, turning the entire Middle East into a radioactive desert and (how grim is this?) installing Ann Widdecombe in Downing Street, but otherwise it was essentially the same saucy gay/bi screenplay for regime change in a fascist emirate. When the real ‘Arab Spring’ began in 2010 it became clear that regime change would be much harder to achieve and not in the least bit comical. In Bahrain, the closest parallel to my fictional Belaj, the revolution has been suppressed thanks to the intervention of Saudi Arabia (and the non-intervention of the West), but I live with the hope that all the Arab despots will eventually be dethroned. Down to the nitty-gritty. YouWrite On charged me the less-than-princely sum of £40 to get Shaikh-Down into print, a tenth of what I’d paid Citron Press, but the price only covered making the book available as a Print-On-Demand title within the distribution system (bookstores, Amazon, etc): no publicity, no marketing. Consequently it has achieved, in four years, sales not much better than a tenth of those I’d had for Florence of Arabia with Citron Press. FeedARead.com charge £88 for what they call ‘Premium Distribution’, and there’s a £20 annual fee to maintain this distribution right in subsequent years. But again: no marketing. The biggest self-publishing site must surely be Lulu.com in the US. As I understand it they will publish your book absolutely free – if you do all the formatting yourself and provide your own cover: you can pay (at a discount to the retail price) for just a single copy of your book. There are support packages to provide editing/PR/marketing services which start at US$999.00. Here in the UK, New Generation Publishing provide self-publishing ‘packages’ from £299 to £1,699. And then there’s Matador, through whom I have published The Dropout, which I’ll write about in Part Three of my personal saga. Marketing is, of course, the key to success: getting your book noticed. Websites, blogs, Facebook, Twitter and all the other networking sites are now seen as vital tools for authors, whether self-published or traditionally published. Some of us are better at this kind of marketing than others; and it has nothing to do with the quality of the product. Some of those writers who claim huge success through self-publishing are no more than mediocre (and often less than mediocre!). In May 2011, with the help of an IT whiz from one of my Sussex writer groups, Shaikh-Down was launched as an e-book on Smashwords, where it still can be downloaded for a modest USD$2.99 (or for free on the promise of a review: send me a message here or via Facebook). To date only a handful of people have downloaded it. Which forces me to face, as all writers must, some challenging questions. Am I not doing the right kind of marketing, not reaching the right kind of book-buyers? Or am I not writing the kind of books that people want to buy? I will leave you, dear reader (dear writer), to ponder on these questions until I return with Part Three of my self-publishing ‘adventure’: The Dropout (published by Matador, 2012): my most expensive outlay to date, but not (so far) the most productive. As always, comments are welcome. I would especially like to hear from authors who’ve used Lulu or New Generation Publication – or other sites – to get themselves into print.